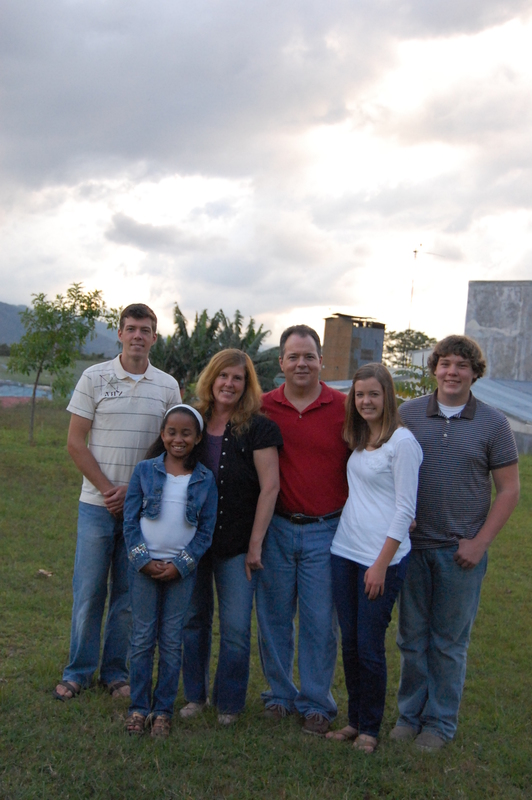 Brian and Cathi Duggan have lived in Costa Rica since 2007. All but our youngest are now in various universities but we are blessed to get the whole family together at various times and interesting locations. Brian leads the Latin America/Caribbean division of ReachGlobal, the mission of the Evangelical Free Church of America (EFCA). With staff in six countries and partnerships in a number of others, Brian spends as much time out of Costa Rica as living there. Cathi teaches our youngest, helps new missionary women who are adjusting to life in this developing country, and works in women’s healthcare ministry to an undocumented Nicaraguan immigrant population in a very economically poor area of San Jose. To learn more about what God has us doing and how He is multiplying his work through the various ministries in the Latin America/Caribbean region, follow this blog as Brian and Cathi document a small portion of the stories of God’s work. Team Duggan, I am Eric Skinner. Keri cared for me when she was in school at Vanderbilt. Please let her know that I am thinking about her and imagining the remarkable things that she is accomplishing. There are a few finer people in this world than Kerrie please let her know that I am thinking about her and imagining the remarkable things that she is accomplishing. There are a few finer people in this world than Keri. I am having a problem thinking of even one. Oh, well. Eric sends his very best.